Easily communicate with your company's database through your multiple iPad/ iPhone/ Android/ BlackBerry/ Windows Phone 8 Devices(3G, EDGE, GPRS or Wi-Fi). Faster results. Your field force can be up and running in a matter of minutes, not weeks. 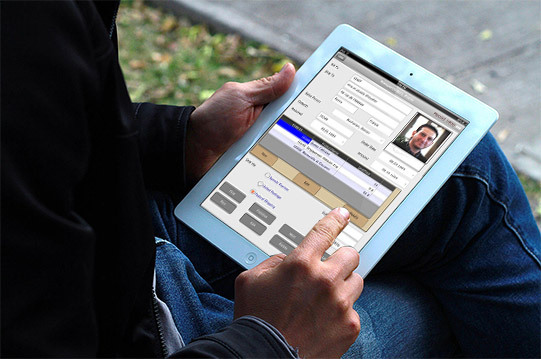 Cellica's unique Multi - User Mobile Synchronization Technology allows multiple users to merge their handheld records to a single database file on one PC or on a corporate server. No need to change anything in your original database design on your PC. Read and Write to any database i n your office wirelessly. Supports all databases such as Microsoft Access 97/2000/2003/2007/2010, Microsoft Excel 97/2000/2003/2007/2010, Oracle, SQL Server, DB2, MySQL, PostgreSQL, FoxPro, dBase, R:BASE,Sybase, File Maker Pro, Firebird and any ODBC Compliant Database. Allows users and administrators the ability to easily create and update advanced forms. Form Designer includes Label, Text Field, Buttons, Checkbox, Combo box, Tab control, Formula, Sub form etc. Allows a non - technical person to customize data fields, views. No programmers are necessary to automate a team - based business process or workflow. Get the right information to the right people. Control information access and work assignment. For example, supervisors will find it easy and effective to assign different tasks to the people in the field. Set Add/Edit/Delete record privileges to each user. Lowers cost of deployment, management, and maintenance. Allows the business to adapt business processes and information flow while people are in the field. Improved worker productivity due to immediate access to data and forms. Since database and forms are resident on the device, there is no delay to display a view or begin entering data into a form. Works even when you don't have reliable network access. Access to critical information is not prevented by lost connectivity. When little or no connectivity is available data entered will not be lost. It will be queued until connectivity is detected and then on next sync it will be sent. Reduces wireless traffic and therefore reduces bandwidth costs and improves battery life of the mobile devices. A great solution for companies looking to go paperless in the field. Cut travel time, Remove re - keying expenses, minimize error rates, and simplify your storage and audit processes with an over - the - air data connection directly to your Server database . No printing, carrying, filling out and returning paper forms, which can be lost, damaged or misread. Transmit data from the field instead, for immediate and reliable electronic storage of your custom and paperless mobile business forms. "Report" is the easiest way to organize and present data from your database. Reports enable you to format your data in an attractive and informative layout for printing or viewing. Reports provide a way to distribute snapshots of your data, either by being printed out or converted to PDF. Reports can provide details about individual records, summaries across many records, or both. For meetings, for mailings, for making your point, there's nothing better than clear, elegant data. Whether you are sharing a weekly status report with your team or sending a product catalog to your customers, reports draw attention to your data and make it work for you. Supports data encoded using Unicode , there by supporting data in Japanese, Chinese, Korean, Russian etc. Data is secured as Industry's best encryption available during the transit. Device side has built - in password protection.